Jan. 23, 2019: Lovely Lucy is a five-year-old lab-mix who is happy, friendly, and well socialized. She is fifty-five pounds of affection and joy and would make a wonderful companion, jogging partner, or family pet. Sadly, Lucy's owner did not have the time to care for her properly and had to surrender her to a local rescue group. 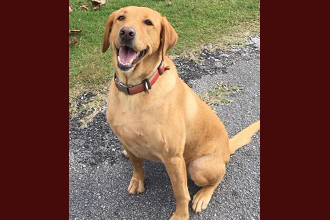 Lucy has a typical lab personality and loves to play fetch, go for walks, take rides in the car, and especially have her belly rubbed. Lucy is a smart and active girl who knows when to have fun but also knows when it is time to relax. She obeys basic commands, is housebroken, and is also great on a leash. She gets along with other dogs but has not been tested with cats yet. Lucy loves children and would do best in a family that has kids over the age of five years because of her size. 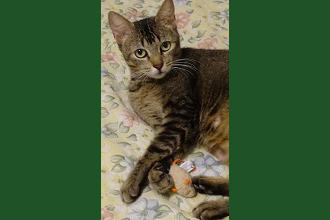 Healthy, spayed, and fully vetted, Lucy is current on all of her shots and ready for immediate adoption. If you would like more information about Lovely Lucy, please visit www.happydogrescue.org, email CLOAKING , or fill out an application at http://www.happydogrescue.org/Application595.html.